The eyes of the world are fixed on this explosive hot spot. Bashar Assad will be ousted shortly—but then what? You can actually know the outcome! 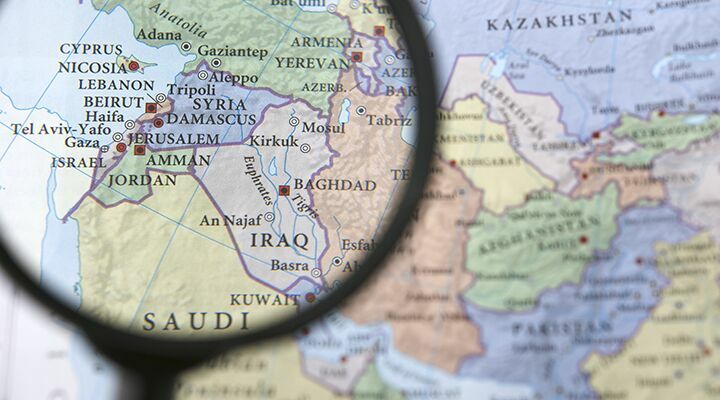 This prophecy involves the same geography: The context shows you that it occurs right in the Middle East and involves some of the same countries. The “king of the north” is Germany, and the “king of the south” is Iran. Right now, Iran is filling the news with its aggressive support for terrorism and nuclear development, and it appears unstoppable. The Trumpet has emphasized how Iran is having its way in many countries and is dominating the region. But Daniel here describes where these current tensions are leading: Germany will utterly wipe Iran out. Some people disregard this prophecy, saying it is just some obscure passage in the Psalms. But God inspired it! Christ said in Matthew 4:4 that we are to live by every word of God. In biblical prophecy, “Israel” refers especially to the birthright nations that descended from Joseph: Ephraim and Manasseh. Those descendants are Britain and the United States. Other prophecies show that the fates of these three major nations of Israel—the U.S., Britain, and the Jewish nation—are all aligned. Where Psalm 83 says this alliance is “against thy people,” it means Germany and its Middle Eastern allies are targeting the Americans, the British and the Jews in the Middle East. But notice: There is also a plot against God’s “hidden ones,” which other translations render as treasured or sheltered ones. This refers to God’s faithful people, spiritual Israel, His true Church. They are embedded right in the midst of all these prophecies to ensure God has somebody He can use to reveal to the world His message about what is happening! The only one listed here that lies outside the region is “Assur,” which is Germany. Germany is the power behind this alliance! In principle, this is how Germany started World War i and World War ii. (Request our booklet Germany and the Holy Roman Empire for more information.) It is using the same old modus operandi. This is a most exciting and wonderful prophecy—yet the world understands almost nothing about it. People should understand, because this message has been publicized for them to see for about 70 years by the Trumpet and by Herbert W. Armstrong! Where does this Psalm 83 union lead? It leads to mankind being plunged into the Great Tribulation for 2½ years, and then into the Day of the Lord for a year. But at the conclusion of the Day of the Lord, Jesus Christ is going to return to this Earth and put down all the rebellion against Him. Finally, He will conquer the nations and bring us peace and joy and happiness forever!